Our pets are living longer and because of that they are sometimes required to take certain forms of medication. Overtime this expense can become quite burdensome, especially if the consumer is not able to shop around for lower prices. Due to the unaffordability, sometimes families are forced to choose between buying necessary drugs for their pets or paying for other household items. Unfortunately, the latter ultimately wins and the animal suffers as a result. A congressional panel held a hearing on April 29, 2016 regarding The Fairness to Pet Owners Act (H.R. 3174). There is a debate on whether the federal government should take steps to lower the cost of prescription drugs for pets. 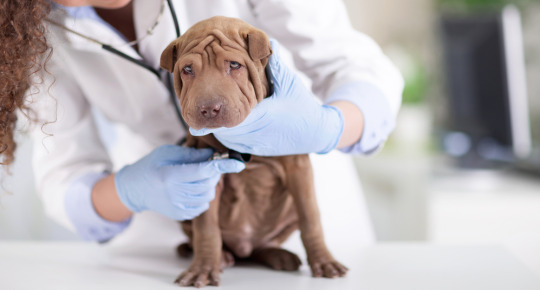 The Fairness to Pet Owners Act would require veterinarians to give customers free written prescriptions, whether requested or not, when recommending pet medications. Veterinarians would also be prohibited from forcing the consumer to purchase the medication from them, that they prescribed. The consumer can then shop around to find the lowest price, as opposed to purchasing directly from their veterinarian. The American Veterinary Medical Association (AVMA) is against this proposal. They claim that the legislation would create additional administrative burdens for veterinarians. They added that the bill is unnecessary because veterinary clients are already allowed to ask for written prescriptions. They also raise concerns about the dispensing of pet drugs by retail pharmacists, as they are not schooled in veterinary pharmacology. Proponents of the bill, include Nathan Smith of True Science LLC, a pet medicine supplier. He says that the bill would increase competition and drive down prices. Thus saving pet owners millions of dollars a year. Would you like to see the bill pass and become law? Or do you feel the status quo is fine and we should leave it as is? Comment below and don’t forget to share!